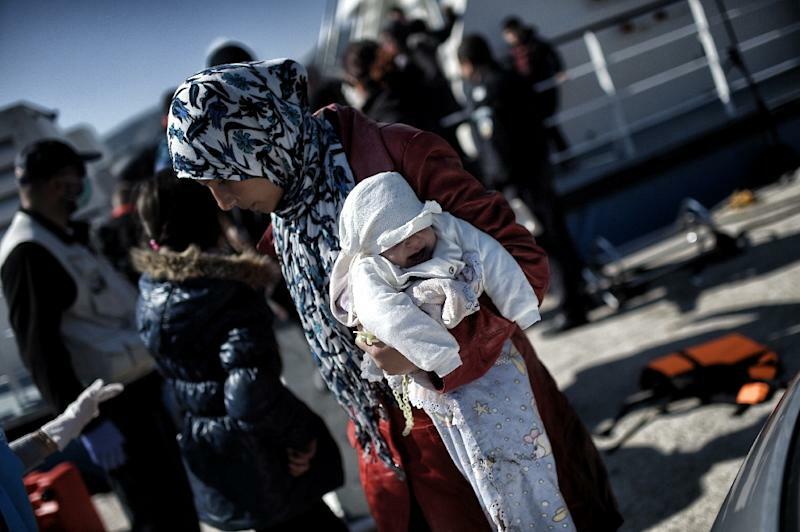 The Aegean has claimed the lives of hundreds of migrants in the past year, including scores of children. It has also been a habitual source of tension between NATO members Greece and Turkey for decades. Ever since the two countries nearly went to war over an uninhabited islet in 1996, Ankara has stepped up challenges to Greece's dominance in the area. Greece claims a 10-mile (16-kilometre) air space limit around its coastline and islands, but Turkey only recognises six miles, arguing that under international rules Greece's airspace should be the same as its territorial waters. As a result, there are often mock dogfights when Turkish warplanes enter airspace that Greece claims as its own. Turkey also says there are a number of Greek islets and islands such as Agathonissi and Farmakonissi, whose sovereignty remains unclear. But the migration challenge has forced Athens and Ankara to work together, despite their long-standing differences. 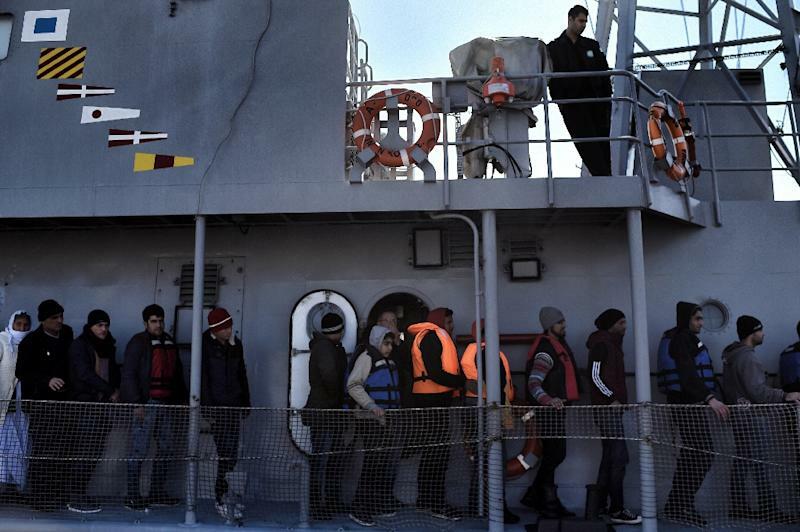 After repeated calls from Berlin for closer cooperation between Greek and Turkish coastguards fell on deaf ears, Germany and Turkey earlier in February asked NATO to help police the latter's shores. "The EU wanted a safe and indisputable means of informing the Turkish coastguard on the movement of migrant smugglers," says Angelos Syrigos, at Athens' Panteion University. "(EU border agency) Frontex has no authority to survey the Turkish coasts where the smugglers are active." He adds: "If the Turkish coastguard cooperates, there will be results without loss of human life." 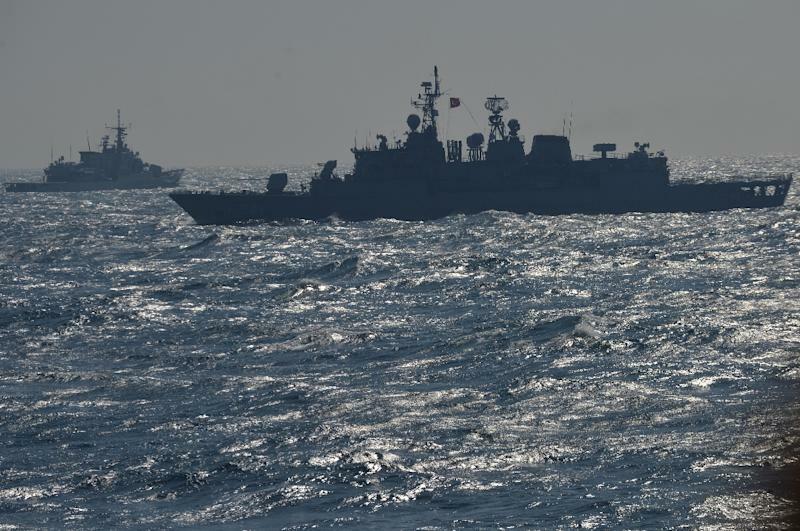 Though the precise details of the operation are still being worked out with Brussels, a five-ship NATO flotilla deployed to the Aegean last weekend, a NATO source said. "NATO's standing maritime group 2, which currently consists of five ships -- from Germany, Canada, Italy, Greece and Turkey -- has already deployed in the international waters of the Aegean Sea," a NATO official told AFP. "They are currently conducting reconnaissance, monitoring and surveillance activities, which will provide critical information," the official said, adding that the alliance would also "intensify" intelligence, surveillance and reconnaissance at the Turkish-Syrian border. "We are currently working on the details, including the framework of cooperation with the EU, and we'll finalise them in the coming days," the NATO official said. Greek Defence Minister Panos Kammenos this week said organisers had been careful to keep Greek-Turkish differences from hampering the operation. Under the terms of the plan, the two country's units will be confined to their respective waters. "We asked this to be specifically included in the deal, so that NATO and the operation are not embroiled in differences we were sure Turkey would seek to raise," Kammenos told a news conference. "We never said we resolved Turkey's absurd demands in the Aegean (with this operation)." The flow of refugees and migrants, which last year reached levels unseen since the end of World War II at over a million people, shows no signs of slowing. Fabrice Leggeri, head of EU border agency Frontex, this week warned the bloc should brace for another charged year in 2016. "We have to expect a very high number of irregular border crossings," he told AFP. "Last year we had 1.8 million. This year the trend in January is increasing again -- 140,000 irregular border crossings at the EU level," Leggeri said. With large warships now plying the sea lanes, there are also concerns regarding the safety of migrants who are coming in densely packed flimsy boats and dinghies. In October, a wooden boat carrying dozens of migrants sank near the island of Lesbos after colliding with a Greek coastguard vessel during a rescue operation. Eight people, including four children, died in the accident. Greece's junior interior minister for migration Yiannis Mouzalas highlighted the danger of possible errors, even at the hands of experienced NATO crews. "We must be very careful during such a massive operation to avoid mistakes. Mistakes at sea are dangerous," said Mouzalas, a former senior Doctors of the World physician.